Old Street Roundabout, London, UK. North is at top. 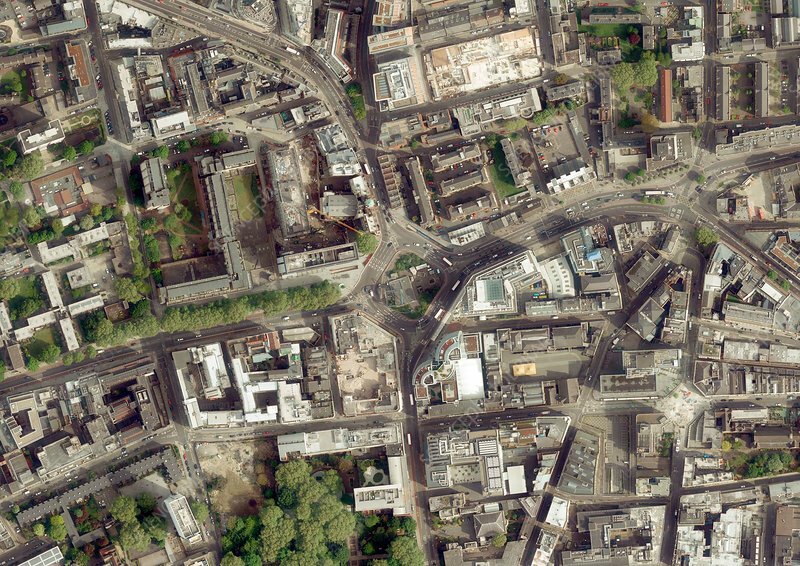 Aerial photograph of the roads and buildings in the region around the Old Street Roundabout on the boundary between the London boroughs of Hackney and Islington. Since 2009, this area has been home to a number of new internet and information technology companies (part of East London Tech City), leading to the colloquial name of Silicon Roundabout. Photographed in 2014.